European Union leaders, tired by the serpentine Brexit crisis, must decide on Wednesday whether to grant May, who has asked for a postponement until June 30, a further delay. 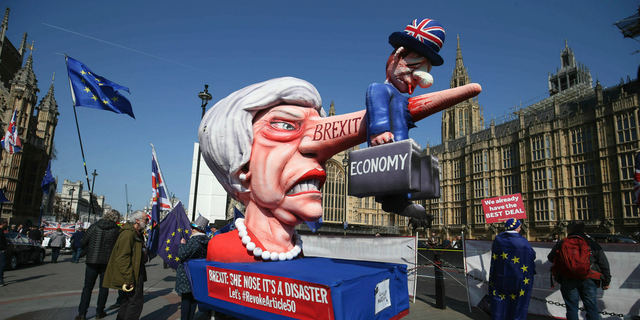 Britain's pro-Brexit Conservatives are protesting angrily against Prime Minister Theresa May's decision to seek the opposition party's help in finding a compromise Brexit agreement. Rees-Mogg warned that the decision to meet with the hard-left opposition leader "risks giving a degree of credibility" to Jeremy Corbyn and of "undermining the general thrust of the Conservative argument that he is a Marxist who would be risky to this nation's interests". She said: "It'll mean compromise on both sides but I believe that delivering Brexit is the most important thing for us". Labour wants a customs union with Brussels, something May consistently ruled out as it would prevent Britain striking trade deals with the rest of the world. If none is granted, the United Kingdom could be subjected to a no-deal Brexit as early as Friday. In a video message recorded in her Chequers country retreat, Mrs May said both sides will have to compromise in the cross-party talks with Labour. The UK has already blown its first Brexit date, March 29. Shadow business minister Rebecca Long-Bailey, a member of Labour's negotiating team, said while it was "disappointing" that there had not been any shift in the Government's red lines last week, "the overall mood is quite a positive and hopeful one".